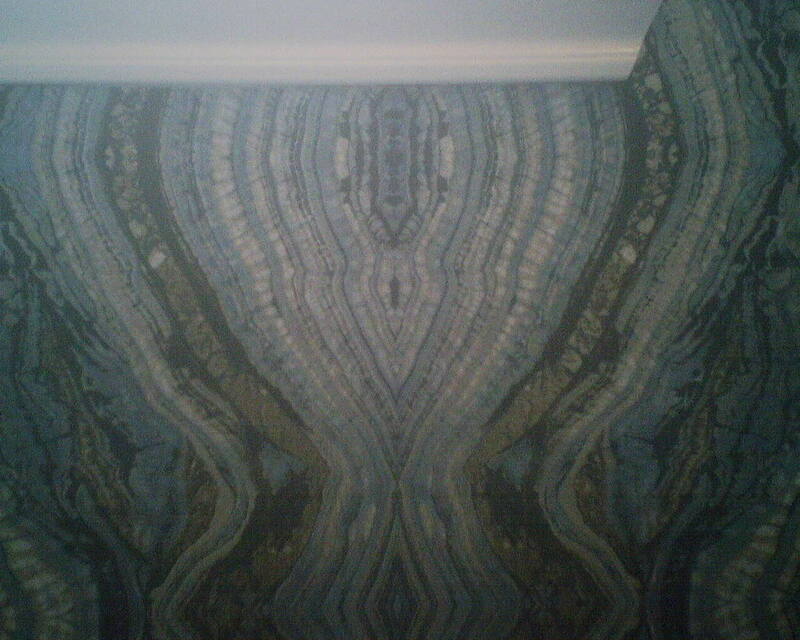 It takes chutzpah to choose a wallpaper pattern like this! But, boy, did it bring this powder room from blah and brown to bold and energizing and full of color! 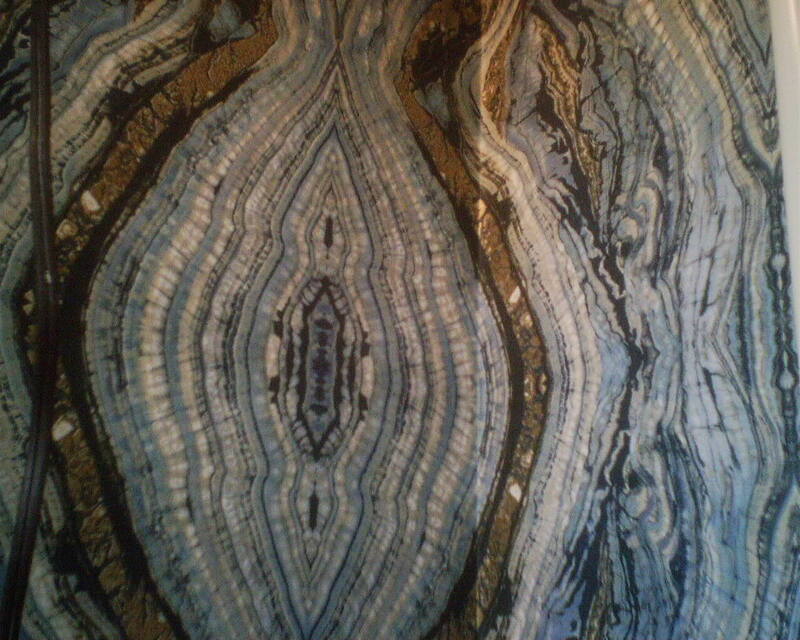 The pattern looks like agate stone, and at 27″ wide by 24″ long, is large scale. 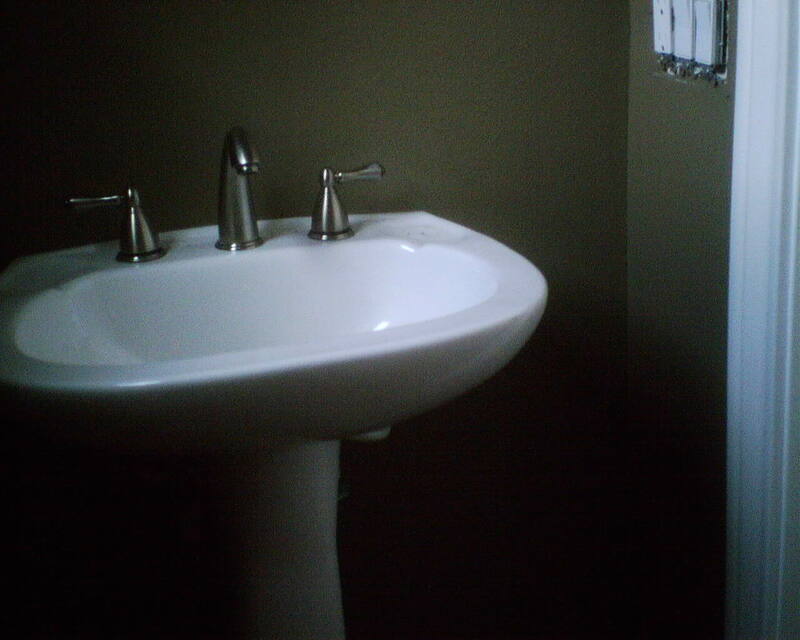 I thought that the pattern, color, and size would overwhelm this small, under-the-stairs powder room. 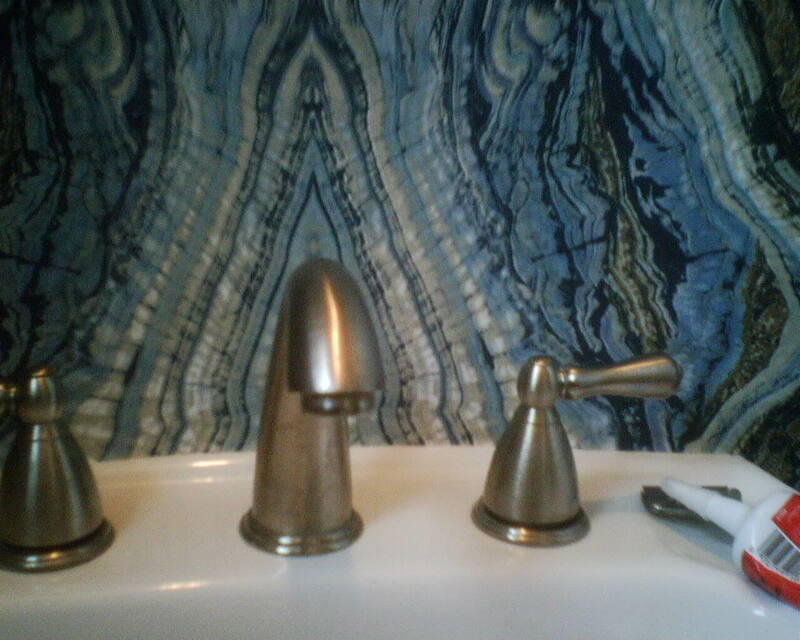 But the homeowner went ahead and bought her first love – and, I have to admit, it turned out GREAT. The room is a lot brighter now, and the squiggly curves of the design add a lot of life to the room. When they talk about their powder rooms, a lot of people use the term “jewel box.” This room would definitely qualify! You can get away with a lot of drama in a powder room, because you don’t spend a lot of time in there. And if you don’t want to look at it 24/7, you can always simply close the door. I hung this in a fairly new home in the Rice Military neighborhood of Houston. The paper is good quality, but not expensive, and was very nice to work with. This wallpaper pattern is by York, and was bought at below retail price from Dorota Hartwig at Southwestern Paint on Bissonnet near Kirby. (713) 520-6262 or dorotasouthwestern@hotmail.com. She is great at helping you find just the perfect paper! Discuss your project and make an appointment before heading over to see her. This entry was posted on June 17, 2017 at 8:20 am and is filed under Uncategorized. You can follow any responses to this entry through the RSS 2.0 feed. You can leave a response, or trackback from your own site.